The Elder Scrolls V: Skyrim is a monster of a game, sales wise, and already had ports to current generation hardware last year. It is almost like Bethesda’s Grand Theft Auto V at this point when it comes to both ports and sales. Last year’s release on consoles saw mod support come to the PS4 (limited) and Xbox One so there was some value in double dipping for many besides the fact that it had visual improvements through the special edition. Those weren’t as interesting as what Nintendo showcased back when the Switch was properly announced. Skyrim on a portable was the promise and I was skeptical at first. In fact, the Switch and PS VR will be the sixth and seventh platforms to get a port of Skyrim since its release in 2011. 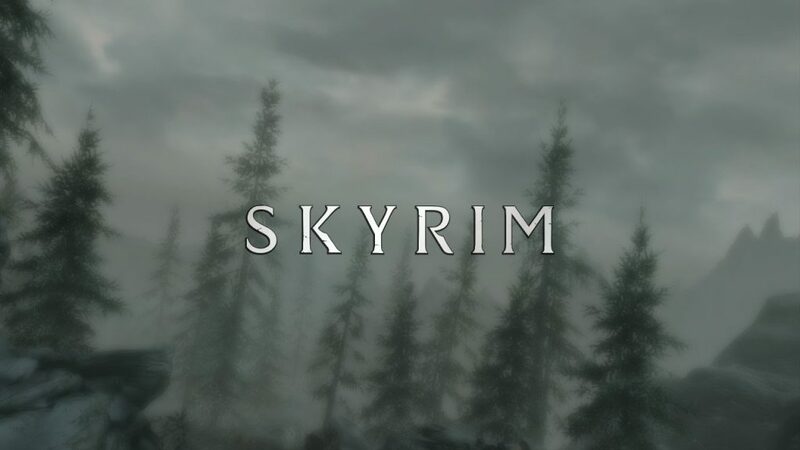 My friend convinced me to try Skyrim back on Xbox 360 and I’ve since then gotten it on PS4, PC, and now Switch. My experience with the PS4 version was not good initially thanks to quite a few glitches and felt like the experience lacked the polish I expected from a remaster. Despite owning it everywhere but PS3 at this point, I’m glad I waited for the Switch version. 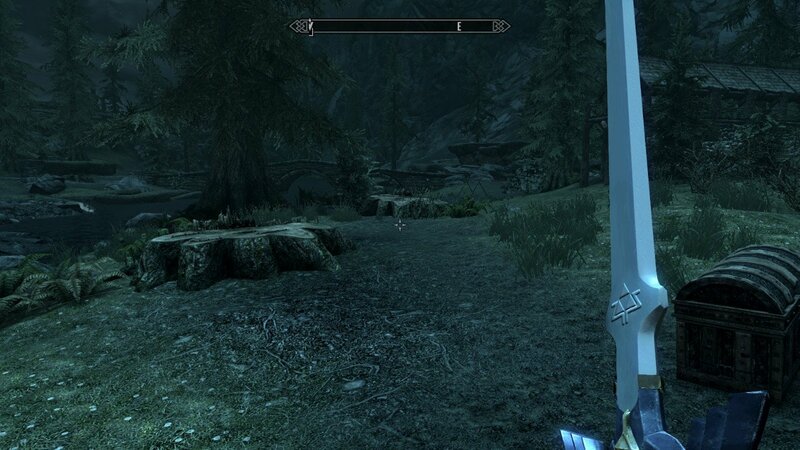 While it lacks mods and the visual fidelity of other platforms, it makes up for everything with portability. When I booted up the Switch version for the first time, I was surprised in a good way. Things felt smooth and it looked lovely on the handheld screen. Over the last week I’ve had a blast exploring and spending time both docked and on the go with Skyrim on the Switch. Iron Galaxy is the studio behind this port going by the credits and I’m impressed with what they’ve accomplished. Skyrim on the Switch includes all previous DLC and feels like a hybrid between the vanilla game and the special edition. There are some exclusive features in this version and some Nintendo themed content as well, but the core Skyrim experience is fully here. It feels great having such a big world to explore on a portable device and one that allows it to run better than what I experienced on PS4 last year at launch. The weak opening in the wagon aside, I love how stable the experience was in the full opening questline where you eventually get to Riverwood and take on plenty of Draugr, and then learn the first Shout. I had a separate character on another profile on the console just to see how much I could annoy villagers and I can confirm that they still get pissed off if I so far as laid a hand on a chicken. I experienced more visual glitches in the first hour on PS4 than I did across over 30 put into the Switch version across different profiles. 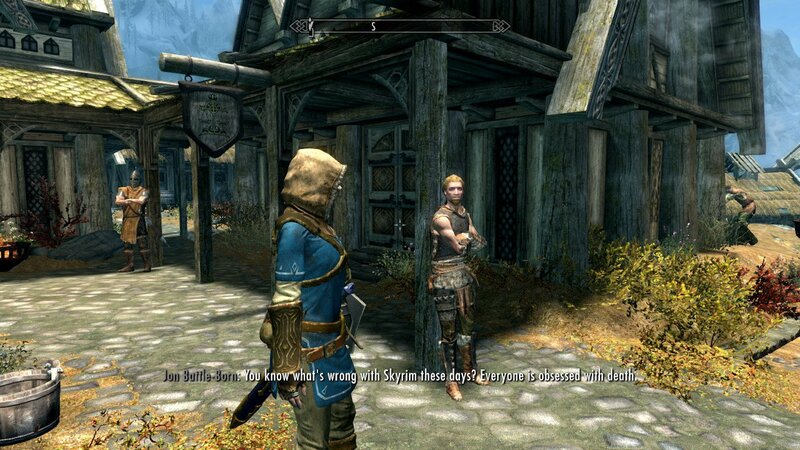 Visually there have been some compromises to get Skyrim running on Nintendo’s hybrid. Draw distance is shorter than I’d have hoped and there are instances of texture pop in. Some of the foliage wouldn’t look out of place in a mid generation Xbox 360 game. All of these are less pronounced while playing handheld which looks sharp and plays well. I found the load times fine as well aside from the long initial load. The two big exclusive features of this port are motion controls for Joy-Cons and amiibo support. You can play with a single Joy-Con in each hand and use motion controls for attacking. The highlight is gyroscope aiming with the bow and arrow that reminded me of how great the feature was in Breath of the Wild. Using split Joy-Cons in each hand is a perfect control scheme for lazy people like myself and when you get the Switch into tabletop mode, Skyrim has never been more relaxing. Amiibo support is almost exactly the same as it is in The Legend of Zelda: Breath of the Wild. You equip the amiibo spell like you did the rune and use it in an open area. Scanning any Zelda franchise amiibo will give you a special chest that has a small chance of having the Master Sword, Hylian Shield, or Champion’s tunic. Every amiibo is supported and you get an assortment of items or gold in the chests. The restriction is the same as Breath of the Wild as well with an amiibo working once a day. 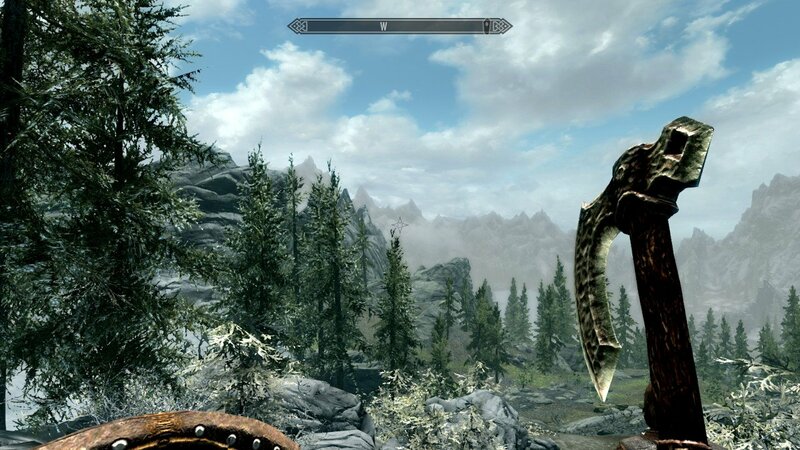 Overall, I’m more than impressed with Iron Galaxy and Bethesda’s work on Skyrim for Switch. While I don’t expect mod support to ever show up outside of maybe how limited it is on PS4, it would be a nice addition for many people. If you’ve never played Skyrim before, now is a great time to get into it. Skyrim on Switch is the only version that you can take to Starbucks for an Americano to the knee and it is quite an accomplishment. The Nintendo Switch version of Skyrim is a fantastic conversion with some nice additions for the console like motion controls and amiibo support.